My lord... that is a entire horde of wolves! I'm sadly enough going to fail completing my units due to having much to do at work. At least I got them primed. Indeed. And parental leave is around the corner, should have a small positive effect on the schedule. 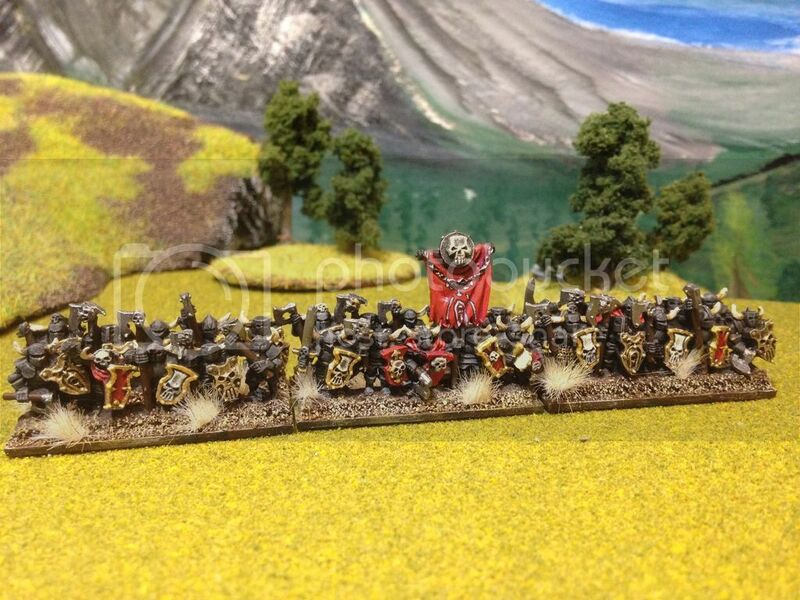 Well weirdly, I veered off and pretty much finished a Dark Elf spearman unit! It's going to be a no-show from me this month I'm afraid. I simply haven't had the time to venture out to the shed. Nice DEs. My pledge is painted. Just need to make time to photograph them! This is an excellent colour scheme. I'm colour blind so I'm not sure whether I see it like everyone else, but that deep green seems appropriately sinister and striking for Dark Elves. I energised myself to start the DE a while back through some of the new GW paints. A lot of the new GW paints are a disappointment but there's some there which are a really unique tone and make you imagine new projects to do! Sybarite Green... I intended this as a highlight but it's brighter than I wanted so I went for Vallejo Jade Green which is a bit subtler as the brighter colour. Those do look awesome Stormwind. Very nice work. 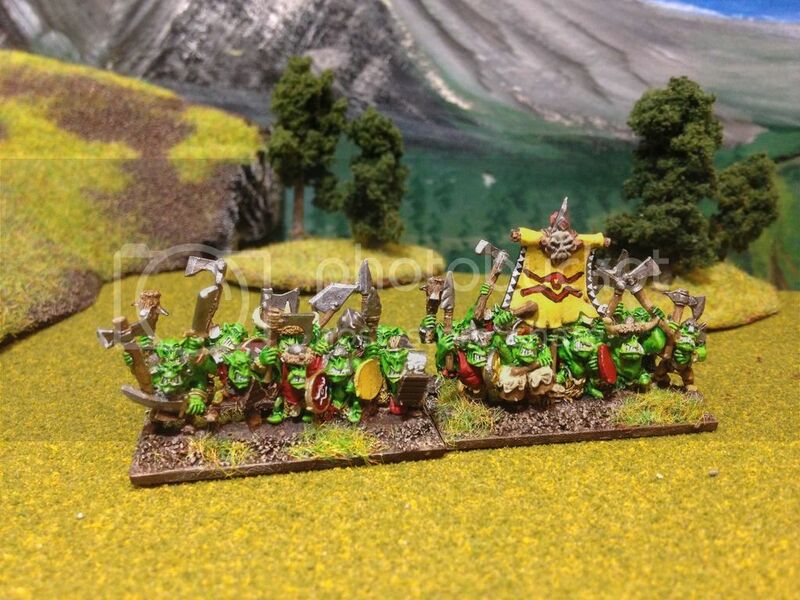 I only finished two orcs stands because there were only 5 stands in my GW package of Orcs, I was pretty annoyed. I ordered some orcs from polar fox to fill out the unit (they threw in an extra one for me). [ENTRY] final bits of my Medusan army - file names show type, what they are proxying for (Lizardmen stats), and mini manufacturer. Those all look fab, good job! I didn't get what I wanted done last month, but hoping to be able to say that I have /finished/ some things in December. We still doing this poll for November? Sorry guys. I ve been very busy . Thanks JChaos - I hope you are doing OK!